When finding a purpose to get out of bed every morning has become your first daily struggle, it’s hard to find a bright spot. Luckily, there are things in this world that help keep me sane (besides family and friends). Right now, some of the things that make me the most happy are my comics, movies, shows, etc., and I don’t think I would be able to get through these tough times without them. So, I would like to formally thank each of them individually, right here and now. After you read my thank-yous, I would love to hear about the things that make you the most happy, whether they be fandoms, people, places, or activities. I’m tired of feeling so awful about what’s happening in my life, so I hope that if you’re feeling low, too, that maybe this cheers you up as much as it cheers me up. Thank you to the Avengers movie for allowing me to fall in love with superheroes all over again. And for introducing me to Chris Evans. God Bless America. What better therapy is there than to have a “Cat Therapy” board and a “Man Therapy” board just to lift your spirits? 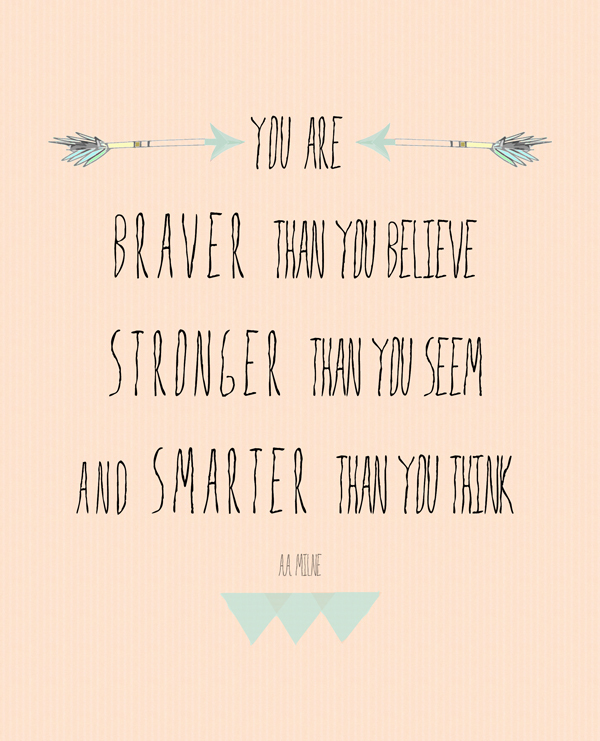 This quote gives me strength, and tears. Lots of tears. Thank you, Cops, for letting me know that I could be waaaaaay worse off. There are way worse things in life, like being the drug-tripping naked guy found on a roof. Thank you, Star Trek: The Next Generation. 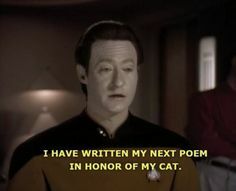 You’ve taught me many valuable things about human life, but you’ve also taught me that androids can love cats just as much as I do, and that’s a beautiful thing. Thank you to the adorable Lil BUB. I need no explanation for this; she’s just adorable. She can also cheer me up with one picture, which is unBUBlievable (I went there). For real, thank you. I have been crying off and on for the past two days. This weekend sucked, but watching both your videos became such a lifesaver. It’s a very admirable thing to dedicate your lives to making videos for the entertainment of others, even if that means that you get frustrated, isolated, or upset in the process. All of your hard work is very much appreciated, whether or not you know that. I think the two of you are amazing men, and you help give me a reason to smile every day when I watch your videos. Thank you, Tom Hiddleston, for just being you. Because you’re perfect as you are. In all honesty, there are many other thanks to be given, but the list would be so long. I hope you find a reason to smile today, no matter what that may be.